After months of anticipation and planning, we are making our final preparations for this year's big adventure, an exciting road trip through Guatemala. The truck has been tuned up, cleaned out and packed. My camera batteries are juiced up and my lenses cleaned and packed. Rob has his ipod loaded up with great traveling music. Birdie and Cole have been counting down the days and gathering the games, crayons, sketch pads, cards and dominos that will occupy them during the long drive days. Connor, now 16, was given the option to come along or stay at home with Stuart and enjoy a break from parents and siblings, the latter of which he gladly accepted. Unlike our trip through Belize last spring, we are armed with an excellent well marked map and an itinerary which is, of course, subject to change at any time. This is roughly what our plans look like for the next 19 days. Mon. April 6 Playa del Carmen to Orange Walk (lunch on the riverbank) to San Ignacio. Overnight in San Ignacio (Cahal Pech). Border crossing in the morning. Tues. April 7 San Ignacio to Rio Dulce. Overnight in Rio Dulce(Hacienda Tijax). Wed. April 8 Rio Dulce to Antigua. 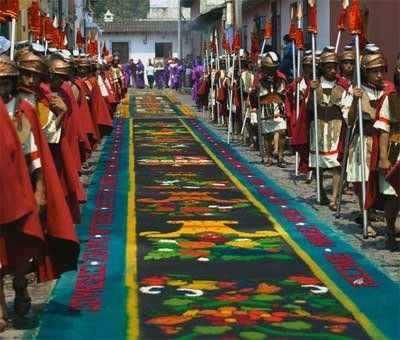 5 nights in Antigua (Posada las Faroles). Wed. April 15 Daytrip to Sajcaja, Momo. Drive to ChiChi. Overnight in Chichicastenango. Thur. April 16 Market in ChiChi. Drive to Panajachel. 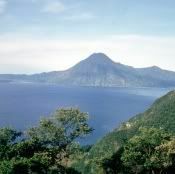 Explore Lago Atitlan. Overnight in Pana. 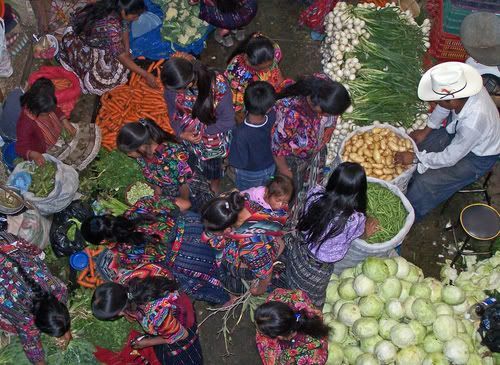 Fri. April 17 Market in Solola. Explore San Pedro, Santiago. Overnight in San Pedro. Sun. April 19 Visit the biosphere/cloud forest. Drive to Guatemala City. Overnight in El Guate. Mon. 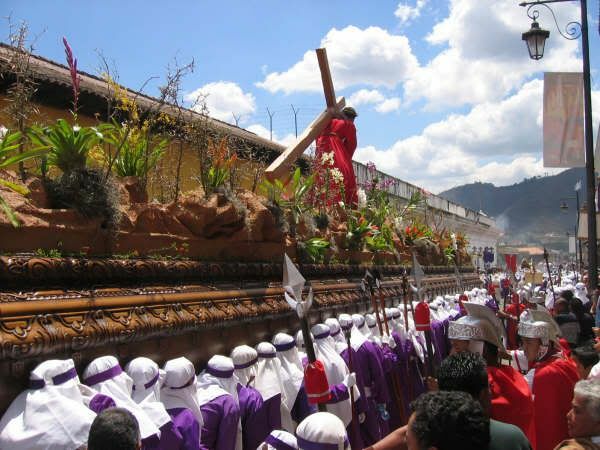 April 20 Drive to Esquipulas. Visit the sacred black Christ. Explore Quirigua Ruins. Drive to Rio Dulce. Boat to Livingston. Overnight in Livingston. Wed. April 22 Boat to Rio Dulce. Drive to Flores. Overnight in Flores. Thur. 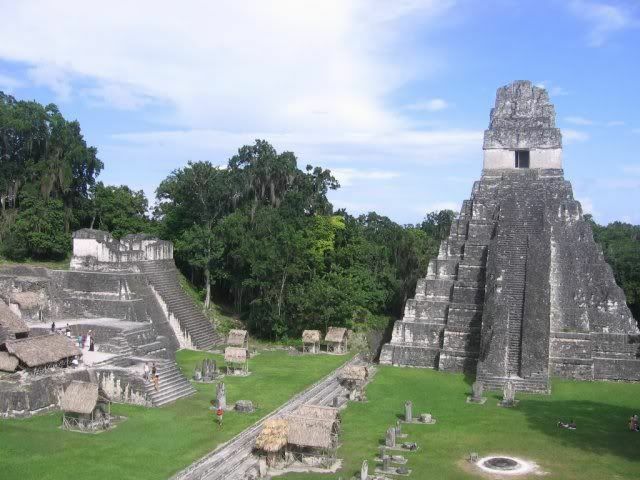 April 23 Explore Tikal Ruins. Border crossing in afternoon. Overnight in ? Fri. April 24 ? to Bacalar (lunch on the lake) Bacalar to Playa. Sat. April 25 Happy Birthday Rob! As I did last year, I will be travelling with my laptop and attempting to blog as much as I can along the way. Due to some safety concerns, we will not be going too far of the beaten path on this trip, so I hope to be able to find internet access in most places. We will be bringing phones with us but at this point, we don’t know what to expect in regard to connectivity. Stuart will be staying with Connor and manning the phones/computers should anyone need to reach us. In a departure from our normal travel schedule, we have planned our time so that we are driving at night as little as possible. This adjustment means we have less daylight hours in which to see all that we hope to over the next three weeks. It should be an interesting and exciting journey. I hope you will all check in with us and follow along on our family adventure. We will miss you at the Blogger meeting but this trip sounds WAY better! Can't wait to read the series! Have fun and be safe! You know how jealous I am, but at least I can use you to blaze the trail. This was the trip I wanted to do 2 winters ago. :) Have an AMAZING time! We spent over a month in Guatemala 2 years ago and were in most of the places you plan on. I think overnight in Livingston is more time than you need but I wasn't impressed with the town, the boat trip from Rio Dulce was spectacular but Livingston... bleh. If you need to stop sooner between Rio Dulce and Flores Finca Isabel is outside of Poptun and is a fantastic place to stay. Wayne - I can't tell you how disappointed I am about missing the 2nd Bloggers Conference. I hope you will all think of me and maybe check in and say "hola" as a group. Have a wonderful time! Kathy - We will be happy to blaze the trail so that you and Jamie and the ninos will have a heads up when you make the trip on your own. My kids are so excited. It's all they can talk about!! They started packing last week! Jonna - I did check out the Finca Isabel and it looks great. If we are totally beat, that will be where we head to. I'm hoping to stay at Tijax, just south of the bridge, right on the lake. Its going to be a lot of driving the first three days out.